No, slain civil rights leader Martin Luther King Jr. would not be in the tea party were he alive today. 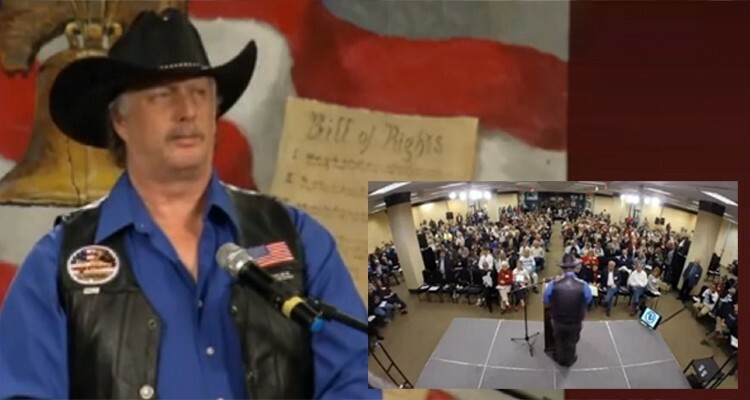 Speaking before the 2015 South Carolina Tea Party Coalition Convention, conservative YouTube celebrity and Tea Partier “Wild Bill” Finley received a huge applause after claiming that slain Civil Rights leader Martin Luther King Jr. would be a member of the Tea Party were he alive today. After a scathing attack on liberals, to include accusations that they were persecuting the Tea Party because of its Christian roots, Finley ended his 20 minute speech addressing the legacy of Martin Luther King. How appropriate that we are here right at the Martin Luther King holiday. Martin Luther King had a dream, and it was a good one — a day when skin color wouldn’t matter anymore. A time when character would be more important than skin color. But when we look at what’s going on in America today, it’s pretty easy to see that Dr. King’s dream got hijacked. I believe racism in this country would’ve died out a long time ago, except that some people figured out that racism can be very profitable — both financially and politically. And now, those who are most vocal about Martin Luther King being their hero seem to be the most race-driven people in America. The left have mastered the art of turning every issue into a skin-color issue, character be damned. Manufacturing racism for political purposes is a big business in the USA, and manufactured racism has been used to hurt the Tea Party from Day 1. There’s no doubt in my mind that if Martin Luther King Jr. was alive today the liberal left would spit in his face because he would be such a threat to their political agendas. We are the people who practice Dr. King’s dream. It is the Tea Party where people are not judged by the color of their skin, and it’s Tea Party Americans who believe that character still counts. So today, I am officially announcing that the Tea Party is taking Martin Luther King away from the liberal left. And to you race-baiting promoters of division and hatred, you’re not getting him back until you renounce your shameful skin-color politics and start practicing the politics of character. You can watch the relevant portion of his speech in the video, below, or you can click anywhere on the timeline to view the entire speech.